A Marvel: Age of Heroes – Exhibition is being held in Tokyo, Japan from Friday, April 7, 2017 through Sunday, June 25, 2017. 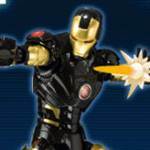 At the event, Tamashii Nations will be selling an exclusive figure. They have shared a preview for the S.H. 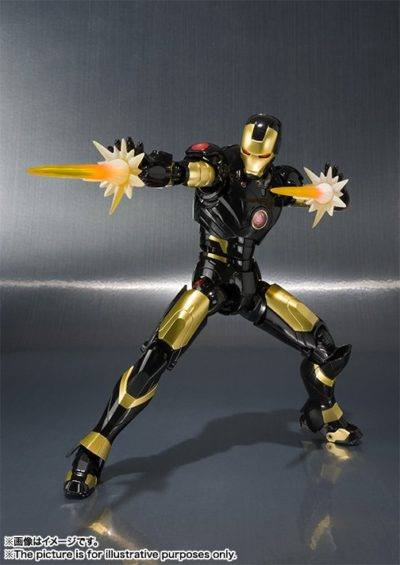 Figuarts Iron Man Mark 3 Event Commemorative Color Version. 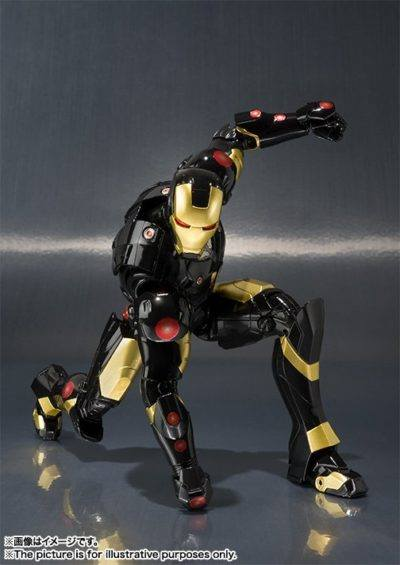 This features the iconic Mark 3 armor in black and gold colors. It will be priced at 5,800 Yen (about $52 USD). Another nice figure priced out of my reach. That's a pretty awesome deco, I wonder if it'll be available as a web exclusive or something else.